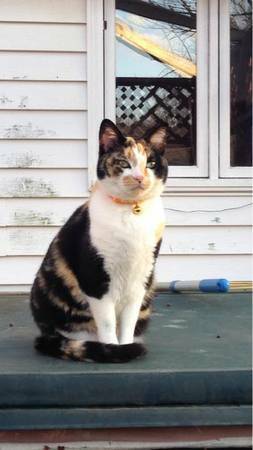 Looking for my lost, female, calico cat. Got out Friday, Nov. 21. She responds to the name Otis and was wearing a blue collar with a bell and orange fish on it. Desperate to find her and offering a reward. Please call if you have seen her or took her in. Contact Jordan at 317-489-7676 or Christian at 317-491-8494. Thank you.